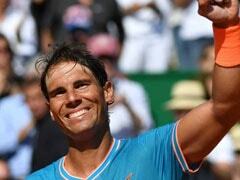 The seven-time champion beat fellow Swiss Stan Wawrinka 6-7 (2/7), 7-6 (8/6), 6-2. 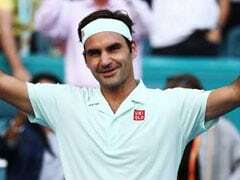 World number two Roger Federer posted his second win of the day, amid a lightning fear interruption, to reach the semi-finals of the ATP-WTA Cincinnati Masters on Friday. 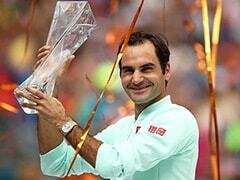 The seven-time champion beat fellow Swiss Stan Wawrinka 6-7 (2/7), 7-6 (8/6), 6-2. The match was interrupted for 21 minutes with players being sent off court and crowds told to seek shelter as a storm cell passed near the site. 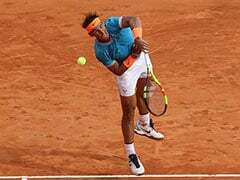 But after the pause, the pair came back out, with Federer finally securing the first break of the match on his seventh chance to take a 4-2 lead over his longtime rival. Federer began his day by beating Leo Mayer 6-1, 7-6 (8/6). 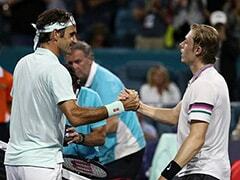 "It's quite unusual to stop for lightning," Federer said after beating Wawrinka for the 23rd time in 26 meetings. "I didn't know if it meant the end of the night or that we would come back. 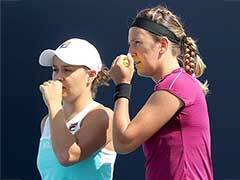 "I got my energy back for the third set, a momentum shift was good for me. It was also good that I was serving first. "I played a cleaner third set. I was clear with my game plan. It was good to win two matches today." 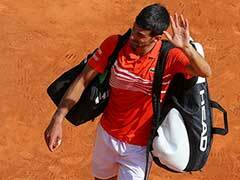 Elsewhere, former world number one Novak Djokovic also won his second match of the day to set up a semi-final clash with Marin Cilic. "I've played five finals here," Djokovic said. "But I do wish to win the title. "I'm here to enjoy a sport that I love, I've got plenty of motivation. I'm in a good position, so I'll take it step by step." "It's tough to play against someone serving so big." Women's top seed Simona Halep recovered from 1-4 down in the opening set to defeat Lesia Tsurenko 6-4, 6-1.